Shirts made to order, particularly the bespoke white shirt, made for you by our expert shirt makers, add an air of made to measure luxury to your wardrobe that is suitable for any look or event. Classic and versatile, a bespoke white shirt can be worn for any occasion should be a staple in the wardrobe of every man. A white shirt easily transitions between looks from day to night – perfect for the office and black tie events, and then carries over flawlessly to create a sophisticated but relaxed weekend look when paired with well cut jeans or casual trousers. At Henry Herbert Tailors we pride ourselves in the use of the finest fabrics, including Egyptian cotton, and shirt making techniques. We use only the most pure two-fold cotton to make our shirts, and with a strong focus on craftsmanship and quality, we guarantee the highest quality bespoke shirts every time. We expertly craft bespoke white shirts for every physique, size and occasion. Our classic white shirts, with their boxy cut, create a professional look and are perfect for the office. For a more modern or casual look, a more slim fitting shirt may be worn. If you favour the current fashion of skinny ties, ensure your shirt has a slim silhouette to ensure balance. 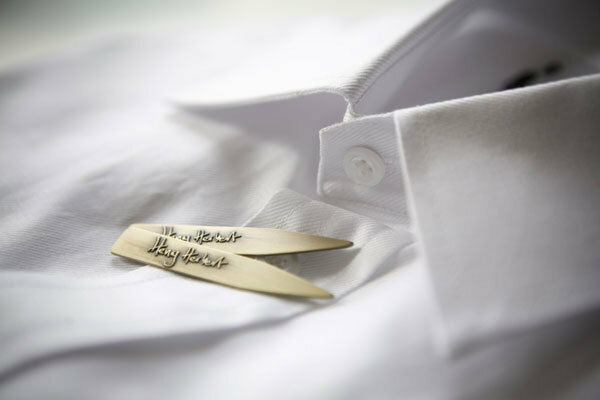 Shirts Made to Order - Tailor Made Shirts by Henry Herbert, Savile Row. Shirts tailor made to order for you by our expert shirt makers add an air of made to measure luxury to your wardrobe. Call us on 020 7837 1452 and a Henry Herbert Savile Row Tailor will be happy to discuss your needs for a tailor made shirt, made to order.